[153 Pages Report] The Global Green and Bio Polyols Market was valued at USD 2.63 Billion in 2015 and is projected to reach USD 4.71 Billion by 2021, at a CAGR of 9.5% from 2016 to 2021. The market size in terms of volume was 1.16 Million tons in 2015 and is projected to reach 1.74 Million tons by 2021, at a CAGR of 6.9% from 2016 to 2021. In this study, 2015 has been considered the base year and 2021 the forecast year to estimate the market size of green and bio polyols. Different secondary sources such as company websites, encyclopedia, directories, and databases such as Hoovers, Bloomberg, Businessweek, Factiva, and OneSource have been used to identify and collect information useful for this extensive commercial study of the global green and bio polyols market. The primary sources, including experts from related industries, have been interviewed to verify and collect critical information and assess the future prospects of the market. The top-down approach has been implemented to validate the market size in terms of value. With the data triangulation procedure and validation of data through primaries, the exact values of the overall parent market size and individual market sizes have been determined and confirmed in this study. The green and bio polyols market has a diversified and established ecosystem of its upstream players such as raw material suppliers, and downstream stakeholders such as manufacturers, vendors, end users, and government organizations. This study answers several questions for the stakeholders, primarily which market segments they should focus upon during the next two to five years to prioritize their efforts and investments. These stakeholders include green and bio polyols manufacturers such as Bayer AG (Germany), BioBased Technologies LLC (U.S.), BASF SE (Germany), Cargill Inc. (U.S.), The Dow Chemical Company (U.S.), Stepan Company (U.S.), Emery Oleochemicals (M) Sdn Bhd (Malaysia), Jayant Agro-Organics Limited (India), Global Bio-chem Technology Group Company Limited (Hong Kong), and E. I. du Pont de Nemours and Company (U.S.). This research report categorizes the global green and bio polyols market based on type, application, end-use industry and region, forecasts revenue growth, and provides an analysis of trends in each of the submarkets. Each application segment is further described in detail in the report, with value forecasts until 2021. Each region is further segmented by key countries such as the U.S., Mexico, Canada, China, Japan, Malaysia, India, Germany, the U.K., Netherlands, France, Saudi Arabia, UAE, Argentina, and Brazil. The global green and bio polyols market is projected to reach USD 4.71 Billion by 2021, at a CAGR of 9.5%. It is projected to reach 1.74 Million tons by 2021 at a CAGR of 6.9% from 2016 to 2021 by volume. The eco-friendly and sustainable nature of bio polyols, consistent supply of bio-based feedstock and crude oil price fluctuations, are the key factors driving the global green and bio polyols market. Polyether polyols was the largest market for green and bio polyols in 2015. Polyether polyols find extensive applications in the manufacture of flexible and rigid polyurethane foams. These foams are used in various end-use industries such as bedding and furniture, construction, and automotive. Thus, the increasing use of polyurethane foams in various end-use industries is driving the green and bio polyols market worldwide. Moreover, the lower cost of polyether polyols in comparison to polyesters further propels the growth of the polyether polyols market globally. Globally, polyurethane flexible foam was estimated to be the largest application of green and bio polyols in 2015. Polyurethane flexible foams are in high demand from for the manufacture of furniture and bedding products, which is its largest end-use industry. This is due to the growing population and increasing construction activities in emerging economies and refurbishment activities in the developed regions of North America and Europe. Moreover, the growing automotive industry is highly focused on using sustainable products in vehicles. Hence the use of polyurethane flexible foam for the manufacture of seats and cushions is driving the bio-based polyurethane flexible foams market. The North American region led the global green and bio polyols market, both, in terms of value and volume, in 2015. The U.S. is the largest market for green and bio polyols in North America, and accounted for a major share of the market in terms of value, in 2015. Green and bio polyols usage in construction, transportation, and for applications such as furniture, adhesives, sealants, and binders is expected to drive market growth in the region. Availability of soybean in the U.S. enables manufacturers to produce soy-based polyols which is leading to the high consumption of green and bio polyols across North America. The global green and bio polyols market is witnessing a high growth rate but a few factors that restrain and challenge the growth of the green and bio polyols market. These are, the higher costs of green and bio polyols than those of conventional polyols, increasing crop productivity by artificial means which causes negative environmental impacts such as increase in carbon footprint and depletion of nutrients from the soil, and increasing bio raw material demand that offsets the balance between commercial crops & food crops. 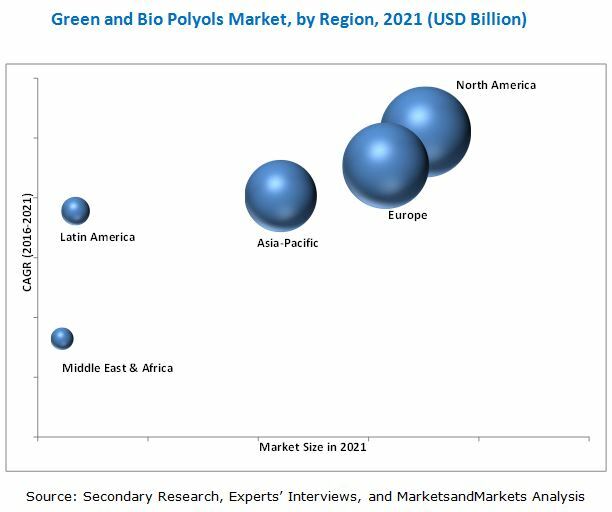 Bayer AG (Germany), BioBased Technologies LLC (U.S.), BASF SE (Germany), Cargill Inc. (U.S.), and The Dow Chemical Company (U.S.), led the global green and bio polyols market. 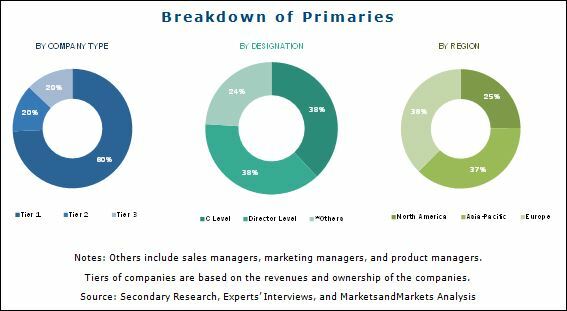 The major players are increasing their market shares and global footprint in the green and bio polyols market by adopting strategies such as new product launches and joint ventures which are expected to help them strengthen their positions in the global green and bio polyols market. 13.8 Jayant Agro Organics Pvt. Ltd.
13.10 E.I. Du Pont De Nemours & Co.